One of the most ‘interesting’ aspects of being a business owner and working from home is keeping things running smoothly. Things just have a tendency to get in the way when you’re at home. And these minor bumps in the road, while they can’t distract a motivated and serious business owner from ultimately achieving their goals, can set you back and cause you to lose time and money. #1) Keep regular business hours, whatever they are. One of the benefits of working from home is the ability to work when you want to and let’s face it even if we love what we’re doing, sometimes we just don’t feel like working. Other times, like when the children are sick or your water heater just exploded and flooded your office, you can’t work. 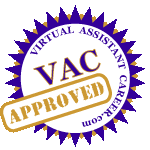 However, to keep your Virtual Assistant business running as smoothly as possible, try to keep regular business hours. If, for example, you find you’re most productive in the morning then make it a habit to work for a few hours every morning. You can of course work during other parts of the day as you feel like it or as you need to but that regular habit of working from 9-12 every day will help things stay on track. #2) Make time for planning. You may not realize it but one of your most important tasks as a business owner is to plan your business and many business owners don’t make this a priority. Set time aside each week to plan your business. For example, every Friday afternoon plan what you’re going to do the upcoming week. Set goals and steps to achieve those goals. On the first day of the month, do the same thing, plan for the month. You’ll also want to create an annual plan and each week or month, take a look at this annual plan and your data to see where you are and what you need to do to accomplish your goals. Planning is essential to keep your business running smoothly. #3) Keep records. It’s difficult to know how to plan or how to create goals if you don’t have information to base your decisions on. Record keeping, analytics, financials, and the like are therefore incredibly important. When you have the right data, and it’s easy to access, then you can make great business building decisions. #4) Make room for fun. Making time for fun every day is a great way to keep things light and interesting. Even if it’s just a few minutes of dancing to your favorite music, it’ll help you face any challenges that come your way. #5) Accountability partner. Partnering with other business owners not only helps your business grow, it helps you stay on track to attain your goals. 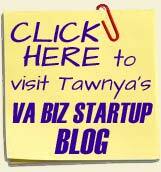 Check out a past blog post on networking with other VAs. #6) Consider outsourcing. Trying to do everything yourself, particularly as your business grows not only is stressful but it makes it difficult for you to stay on top of everything and keep your business running smoothly. Learn to outsource things you don’t particularly enjoy doing or excel at. #7) Do something you love. If you enjoy what you’re doing and are fulfilled by it, it’s just easier to make sure the i’s are dotted and the t’s are crossed. You’re better able to focus, move past mistakes and seize opportunities. Keeping your business running smoothly is about knowing your limits, creating systems and setting parameters for yourself and doing something you genuinely enjoy doing. As life doles out its little surprises you’ll take them in stride and your business won’t suffer any setbacks. 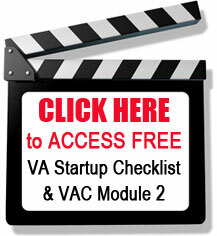 Please share in the comment area below ways you keep your VA work from home business running smoothly.